Color some cells to create a single contiguous shape. The shape can't have any 2 by 2 colored areas. 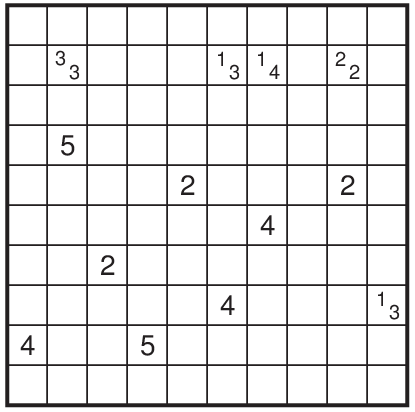 The clues in the grid tell you how many consecutive cells around it have to be colored. If there's more than one digit in a cell, the groups of cells have to be separated by at least one empty cell. Cells with clues remain empty.